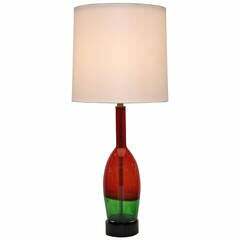 A Seguso table lamp Murano art glass Mid-Century Modern, Italy, 1950s. 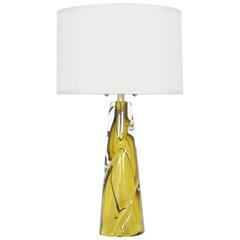 New sockets and rewired shade not included. 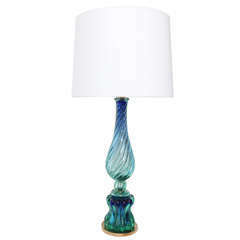 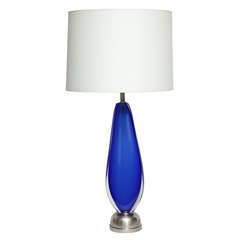 Very elegant table lamp by Flavio Poli for Seguso Murano Italy, very heavy blown Murano glass in fantastic blue and pink color, oval wild silk shade. 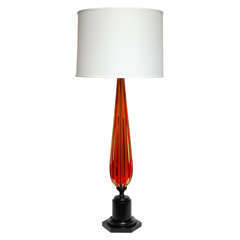 Measures: D 26 x B 36 x H 42 cm. 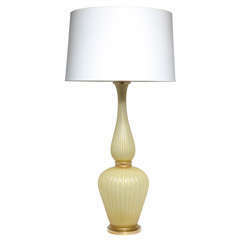 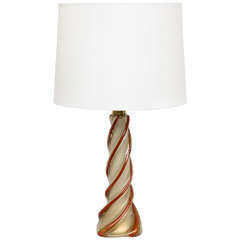 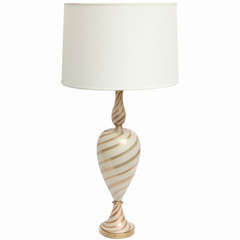 Table lamp Seguso design Italian Mid-Century Modern , in Murano glass and gold powder.